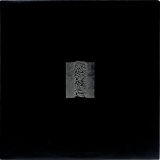 Unknown Pleasures is ranked as the best album by Joy Division. Members who like this album also like: Wish You Were Here by Pink Floyd, Closer by Joy Division and London Calling by The Clash. House of Independents, Asbury Park, United States. Related links: top tracks by Joy Divisiontop tracks of the 1970s, top tracks of 1979. Showing latest 5 ratings for this album. | Show all 1,824 ratings for this album. Related links: top albums of the 1970s, top albums of 1979. Seminal favorite. Launching Pad for bigger things. This is the most important album in history, end of story. 1979 changed forever with this album ..... JD was only played on late night radio stations here in New Zealand .. somehow they still managed to have two singles on the top ten. After all these years I Curtis's name still makes an appearance on Wellington walls year after year. This is a late comer in my greatest albums chart seeing as I had only heard individual songs here and there but not the entire album. I reckon I’ve listened to it more than 20 times now and I just love it. The baritone voice, and brooding themes anticipate the arrival of Nick Cave in the path of music history and Cave is one of my most respected artists. This album just isn't for me, I still find it decent but I don't have much of a desire to listen anymore and I've tried to like it. I've listened to it probably 20 times and it just isn't clicking for me. I'm not a big fan of Curtis' voice or the classic 80s drum and synth stuff. I don't know much about music theory or instrumentation but I've never been a fan of the 80s drum (I don't know its technical term) and this album is built on top of that. I get the feeling that the Curtis' story contributes a lot to the clout of this album. I'm hoping to like Closer more. They basically split punk into two with this album. Some people followed their dark and symbolistic songwriting and lo-fi vocals but ignored their flirtations with synths, which lead to post punk - which rocks more but is at times a bit too retro and elitist; other people did the opposite, and there you have new wave - a bless to the ears but ‘rock’ or even ‘punk’ was sometimes not the word to describe it. This album is exactly in the middle. This is one of those albums I wish I would have heard sooner. Between the dark an eary photographics, with dark settings and melancolic shots, the people in Joy Division were like any young adults, making jokes and having Fun. Laughts were much more commom than one can imagine listening to the lyrics of "disorder" or "She Lost Control". In fact Ian Curtis, as like any artist, was one of us, just trying to get through his days. Unknown Pleasures is an album of experiencing new things, be them good or bad, revealing from the depts of ourselves, our darkest thoughts, and our dying Hope of someone to come and guide, take us by the hand. 11. Metal Box by Public Image Ltd.